Sure, they're supposed to have skin care properties, but who knows if they're effective in that regard? I certainly didn't use them long enough too say. I can say, though, that they offer little to no coverage so if you have a lot of redness or other discolorations, they're just not going to get the job done. I'd put off trying an Asian BB cream for a long time because there just seem to be so many of them that I was kind of overwhelmed by the possibilities. But after watching quite a few YouTube videos and seeing the coverage that they offered, I decided to bite the bullet. 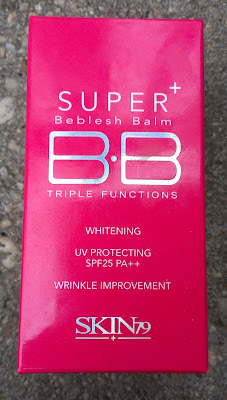 I picked up the Skin79 Triple Function BB Cream (and the Missha Perfect Cover BB Cream, which I'll review in a future post) from Amazon a few weeks ago. It's much different than its American counterparts. 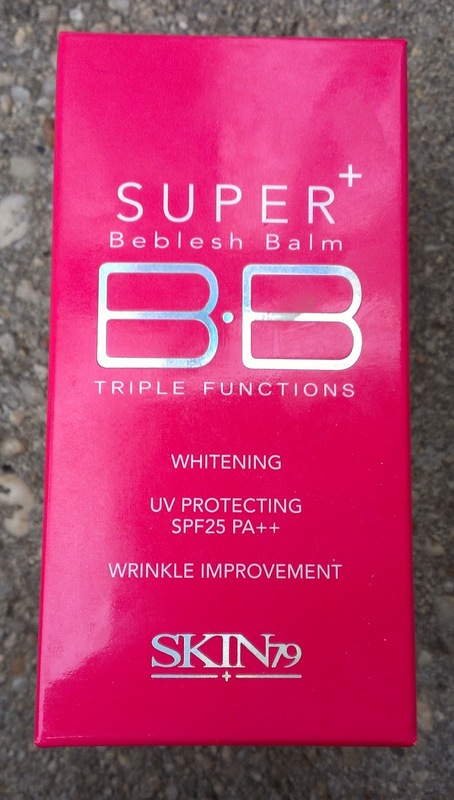 The Triple Function BB Cream is a one-shade-fits-all product, and I'm always leery of those because they're usually way too dark for my super fair skin. The Triple Function BB Cream is slightly darker than my skin tone, but somehow, when blended into the skin, it matches perfectly. It has a slightly gray cast, but once again, when you blend it in, you can't really tell. In terms of consistency, the Triple Function BB Cream is fairly thick but because it blends into the skin so well, it doesn't feel heavy at all. It doesn't seem intensely moisturizing or greasy either, so I think oily skin would do well with it. My dry to normal skin likes it just fine. When it comes to coverage, this certainly isn't like a foundation. However, it covers much better than any of the tinted moisturizers I own. My freckles show through when I wear this, but it hides redness really well. 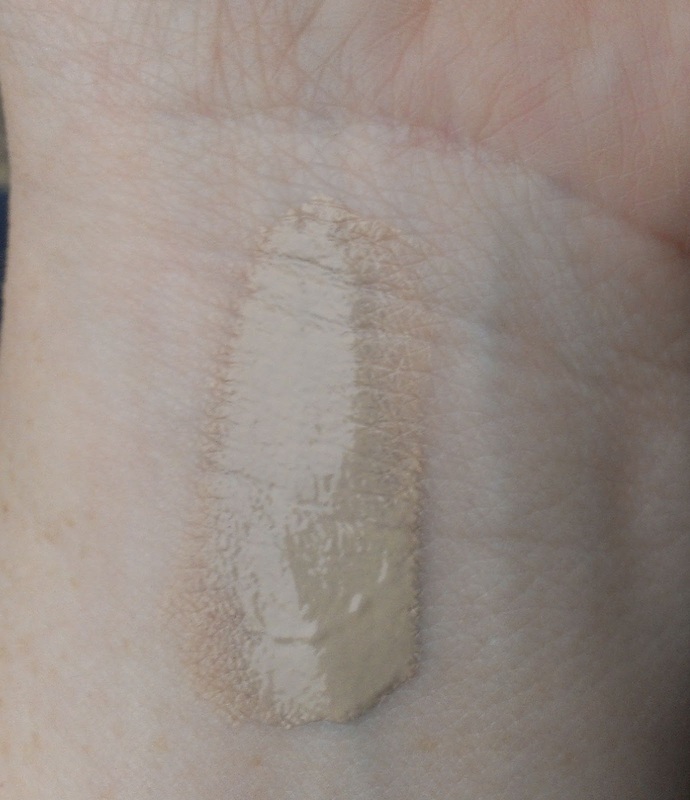 I've also found that you can layer it for better coverage and it doesn't get cakey at all. I use my fingers to apply it because I think it's easier to spread that way and I get better coverage. However, I've also used my Sigma F82 to apply it and that works just fine for a sheerer application. Typically, I wear a mineral powder or powder foundation over it for a little more coverage and once again, the layering doesn't seem to be a problem. It has SPF25, which is terrific for your skin, but it also claims to have other benefits, such as improving wrinkles, whitening and brightening the skin, and improving elasticity. I can't say if any of those claims are true. It would be nice to think so, but you'd have to wear it everyday to see those kinds of results, I'd think, and I have too many other foundations that I like to wear. Still, it's nice to think that a product that covers your skin so well is actually good for it. 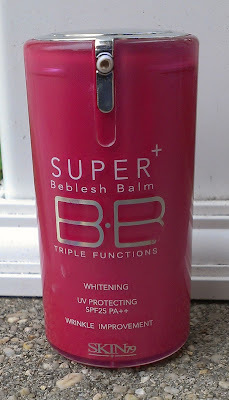 The only thing I'm not crazy about when it comes to the Triple Function BB Cream is its dispenser. It's an airtight pump, which is great - but I find I have a tough time getting the right amount to come out. Either I press too hard and I get way too much or a I press too lightly and get too light. But that's a minor complaint really. All in all, I'd say this is a nice product to have when you want really even skin but don't want to wear a ton of makeup. The coverage and light feeling plus the sunscreen make it an ideal product for spring and summer, I think. Have you jumped on the BB cream bandwagon? What's your favorite?